In July, Bill, Cindy, Robert and I made it to James River State Park. We started filming Virginia State Parks to create virtual tours that will be added to their redesigned website. 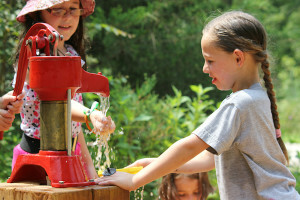 At James River State Park, we shot video of the children’s discovery area, a section of the park with tunnels, trails, a water pump, musical instruments, and other things for children to run around and play in. The children’s discovery area is very shaded, which makes it great on even the hottest days (like that day!). We filmed children of all ages – from infants to teenagers – having a blast. The children were pumping water, playing in sand piles, looking for eggs in a gigantic, human-sized bird’s nest, and exploring an Indian wigwam. I was almost wishing that I could be a child again; they looked like they were having that much fun! After lunch, we headed down to the kayak launch on the James River. 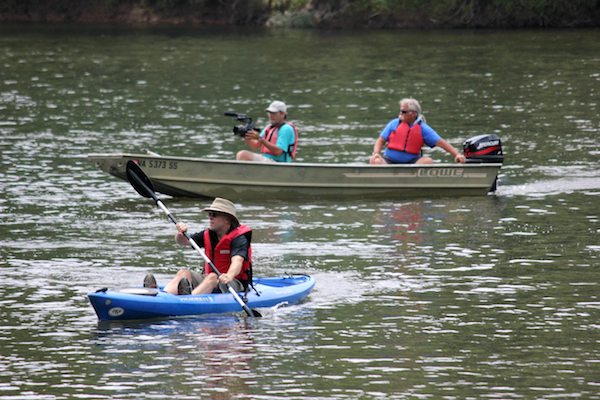 The park offers two- and six- mile treks down the river, which you can canoe, kayak, or tube down. The river at this point is very calm, with little rapids, which makes it perfect for children learning to canoe as well as dogs! We saw the cutest terrier all set to canoe with her owners; she was even outfitted in her own life vest! Often the water is so clear that you can see the rocks and boulders lining the bottom, as well as fish swimming by. 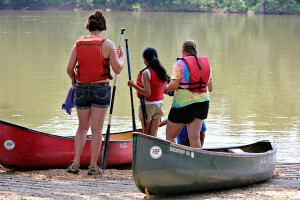 James River State Park’s campgrounds offer camping options for campers of all stripes. Whether you’re in an RV or tent, don’t be surprised if you see rabbits, deer, or even the occasional black bear roaming around. When we visited the campgrounds, a deer ran right across our path! You can, of course, bring your own pets. The pair of dachshunds that we filmed at one campsite were living it up in their own tent! 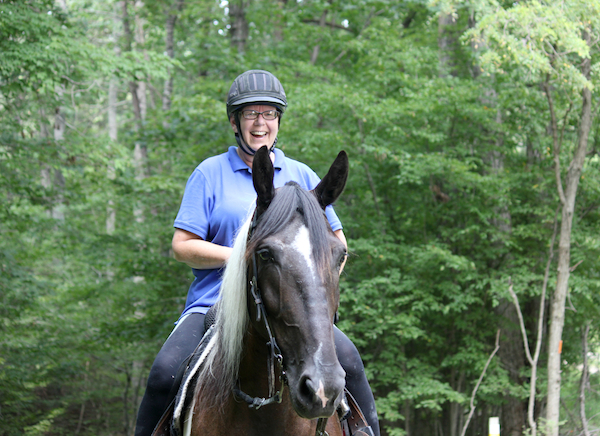 The park offers riding and hiking trails with lovely views and vistas. Families will delight in taking a wagon ride up the trail to the park’s most magnificent outlook that overlooks the James River and the Tye River. The recently rebuilt trail benefits people of all ages, including people with impaired mobility. 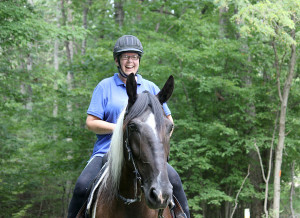 The cabins and lodges at James River are furnished, air-conditioned, have windows that can open on cool evenings, and are great facilities to connect with family and get back to nature. After dinner, we took a walk around the cabins, and we all felt as if we were reliving our childhood. There were so many children outside biking and playing around their cabins! In the cabin area, there are butterfly gardens, trails, fire pits, picnic tables, and even a graveyard to explore, which only add to the adventures that children can have out-of-doors. 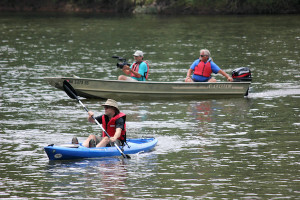 On Saturday, July 20th, James River State Park held their annual summer festival, complete with canoe and duck races, a Super Soaker challenge, a silent auction, bouncy houses for the children, a fishing clinic, and lots more. We captured footage of families visiting with SPCA dogs waiting for adoption, children making tie-dyed shirts, and families munching on hot dogs and hamburgers sold at the event. Bill even shot footage of the canoe race from a boat! The festival was attended by people of all ages, from the baby eating up her first ice cream cone to senior citizens enjoying the beautiful weather. 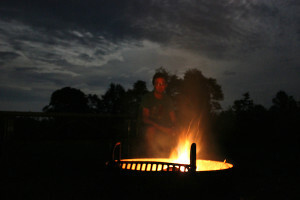 That evening, we roasted marshmallows over a campfire in a fire pit near our lodge. 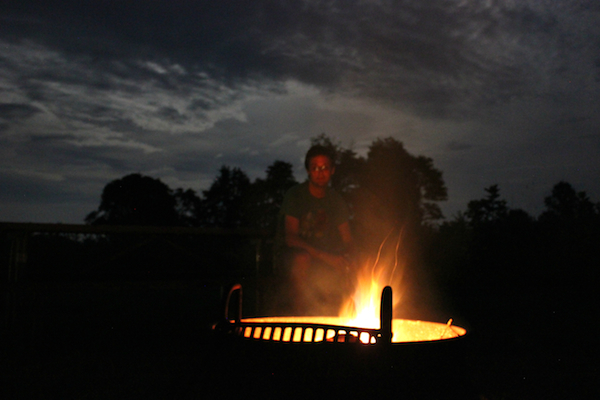 When we had all stuffed ourselves with s’mores, Robert and I had fun taking photos of the campfire. We also went on a ghost hunt in the graveyard nearby, taking photos in search of orbs. Robert, Bill and I were able to capture several orbs in photos, thus suggesting that the graveyard was indeed haunted! Sunday was our day to play! Bill wanted to try kayaking, Robert and I wanted to canoe, and the rest of our crew wanted to tube down the James River. 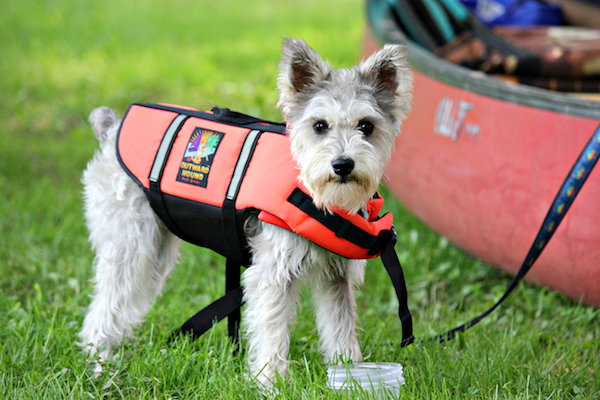 It was my first time canoeing, and I was nervous! Because the James River was calm with little rapids, I talked myself into it, and I was awfully glad I did – I had a lot of fun! We all had a lot of fun. We took the two-mile trek down the river, but we could have easily done the six-mile trek, we had that great of a time. Being out on the river we saw lots of little islands to land on, two turtles watching us from the bank, and other interesting sites that can’t be seen necessary from land. To see a photo gallery of images from James River State Park, click here.